According to the International Air Transport Association, the number of people flying will leap from 3.8 billion in 2016 to a massive 7.2 billion in 2035. This unprecedented pace of demand will help numerous new technologies to emerge, as aircraft hardware becomes more eco-friendly and sophisticated and innovative software solutions grow in importance. Electric propulsion is likely to play a big role in this brave new world, with Airbus already debuting the E-Fan demonstrator aircraft in 2014 and both Boeing and JetBlue investing in electric aircraft startup Zunum. If electric planes are an exciting prospect for the environment, supersonic aircraft will move us around the planet faster than ever before. Airbus patented a hypersonic jet capable of reaching 4.5 times the speed of sound in 2015, using a design powered by a combination of turbojet, ramjet, and rocket motor. Boeing CEO Dennis Muilenburg also expects hypersonic flights to become a reality within the next decade or two, and Boom, the world’s first and only independently owned supersonic commercial airline, are promising commercial flights in the mid-2020s. The supersonic revolution will mean a journey between Sydney and Los Angeles will drop from 15 hours to just 7.5 hours, and a trip from New York to London will take just 3.5 hours. Long-haul and ultra-long-haul services will also have a huge influence on how we fly in the future, with travellers demanding easier access to remote and difficult locations. Long-haul services will become more affordable thanks to increased demand and the development of new propulsion systems, with biofuels likely to play a key role until electric planes are economically viable. United, KLM, and Singapore Airlines have all operated commercial flights using biofuels, with Virgin Atlantic even working with a Chinese firm to develop biofuel products using waste gases captured from steel mills. 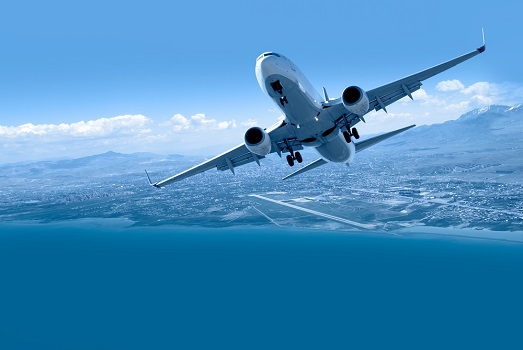 In-flight connectivity and technology is also being developed to make air travel a more fun and seamless experience, including autonomous flights and new entertainment options. Satellite-based internet connectivity will have a huge effect on how we entertain ourselves in the air over the coming decades - with American, Delta, Southwest, and United having already switched to wireless streaming services. Even before we've left the ground, technology will play a key role in the flying experience, with biometrics and fingerprint recognition making check-ins faster and more secure, and mobile apps enabling the real-time tracking of arrivals and departures.